FREEPORT, TX -- 'You are awesome. Thanks for protecting us." Those were the first words from a child's letter written to police in Freeport. 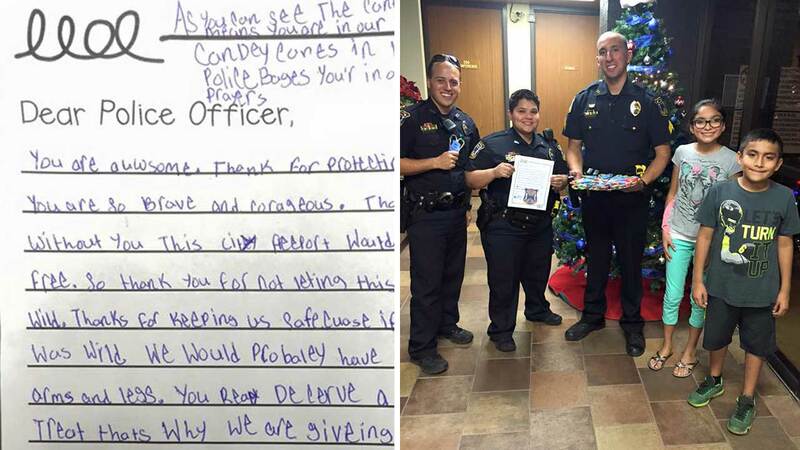 That letter and some sweets were brought to officers by a local family just days before Christmas. The Freeport Police Department posted about it Wednesday, telling the children's parents, "You are sewing good seeds now that will yield a harvest in the years to come. Well done and thank you!"